Margot Cary has spent her life immersed in everything Lake Sackett is not. As an elite event planner, Margot’s rubbed elbows with the cream of Chicago society, and made elegance and glamour her business. She’s riding high until one event goes tragically, spectacularly wrong. Now she’s blackballed by the gala set and in dire need of a fresh start — and apparently the McCreadys are in need of an event planner with a tarnished reputation. As Margot finds her footing in a town where everybody knows not only your name, but what you had for dinner last Saturday night and what you’ll wear to church on Sunday morning, she grudgingly has to admit that there are some things Lake Sackett does better than Chicago — including the dating prospects. 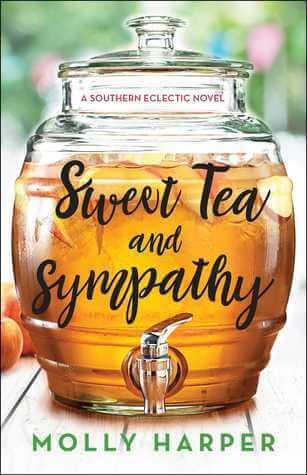 Elementary school principal Kyle Archer is a fellow fish-out-of-water who volunteers to show Margot the picture-postcard side of Southern living. The two of them hit it off, but not everybody is happy to see an outsider snapping up one of the town’s most eligible gentleman. Will Margot reel in her handsome fish, or will she have to release her latest catch?